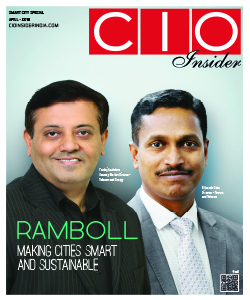 Thank you for your interest in CIO INSIDER magazine. Please provide us with some information about your profession and field of expertise. Since we issue the subscription to relevant readers only, we will evaluate your request and send your copies of CIO Insider Subscription accordingly. Please answer all of the questions below. Incomplete forms cannot be processed. Please note, the publisher reserves the right to limit the number of subscriptions. We will send you more information once we receive your request. Thank you for your interest in CIO Insider. Please issue the cheque in favour of "SiliconMedia Technologies Pvt Ltd"
Marked fields are required to be completed for your subscription.